(Yonhap) — South Korea on Tuesday announced a consortium involving Chinese investors as a preferred bidder to build a theme park in partnership with U.S.-based Universal Parks and Resorts, reviving the project after a three-year hiatus. The state-run Korea Water Resources Corporation (K-Water) said it chose the multinational consortium consisting of Daewoo Engineering & Construction and Dohwa Engineering of Korea as well as China State Construction Engineering Corporation, China’s largest construction company, and Hong Kong-based China Travel Service. 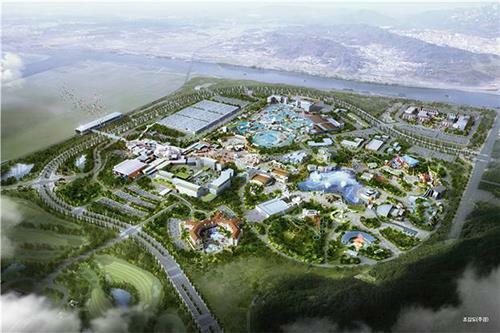 K-Water said it will draw up detailed plans by the first half of next year to open a global theme park in Hwaseong, about 60 kilometers south of Seoul, by 2020, estimating that around 5 trillion won ($4.24 billion) will be invested into the project. The park envisioned on a plot spanning 4.2 square kilometers will include a Universal Studio theme park and Korean pop concert arena, as well as accommodations, a golf resort, a water park and a shopping center. 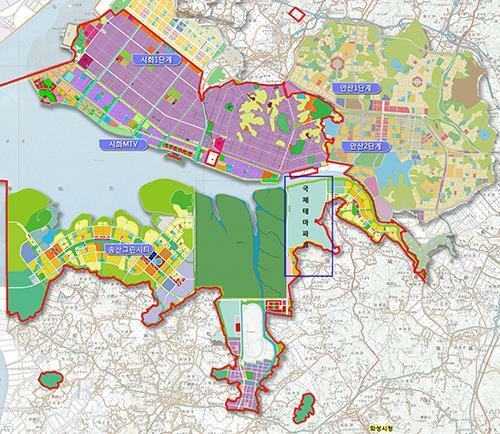 The site is located about an hour drive from Seoul and close to Incheon International Airport. “The global theme park is expected to help draw Chinese travelers as Chinese investors joined the project,” K-Water said in a release, noting the project will be on track this time with government support. Plans for the theme park were originally announced in 2007 amid hopes it would be up and running in 2012, but the project was delayed by the global financial crisis and put on hold in 2012 over land and infrastructure issues. Korea tried this types of pr stunt without proper feasibility study. Tried with mgm, universal and paramount. Lets make it real this time. Dont let korean politician eat up all construction cost. Universal has made no official announcement of this deal… This is just a ploy by land owners and local politicians to raise land prices in the area of the so-called deal. Come on Korea Times, why not check the facts before printing a story.